Thank you for your interest in The School at Columbia University. We are among a select group of schools in the world with the opportunity to combine a small school community that meets the needs of each individual student, and the resources of a leading university. Collaboration, community, diversity and innovation are our core values. Our approach to education focuses on concept-based differentiated teaching and the integration of educational technology. We dedicate ourselves to fostering in our students personal resourcefulness and integrity, a sense of social responsibility, and a lifelong appreciation of learning through an innovative, socially and emotionally supportive, and academically challenging program. Our pedagogical and curricular philosophies embrace multicultural perspectives, which challenge educators and learners to examine their preconceived notions of race, gender, ethnicity, class, ability, religion, and sexual orientation. A committed faculty and administration strive to create a school that will stand as a model for what K-8 education can be, and serve as a genuine and enduring partnership between Columbia and its neighbors. Our unique connection to Columbia University influences everything from our high academic standards to the spirit of inquiry that fills our classrooms. In the past ten years, The School’s faculty, in collaboration with Columbia faculty and graduate students, has created a wide variety of learning opportunities for students. The efforts range from field trips and class visits to ongoing collaborations that are shaping The School’s curriculum. For example, faculty from Columbia’s School of Public Health are pivotal members of The School’s Gender and Sexuality Education committee. The School’s science faculty and Columbia’s chemistry department have joined to create a winter holiday science lecture and hands-on demonstration open to families from The School and all families involved with Columbia. We intend to continue seeking opportunities for mutually beneficial relationships between Columbia University faculty and students and faculty at The School. The University also provides our faculty and students with opportunities that would be nearly impossible to match in any other environment, including access to top-notch athletic and library facilities. We have enjoyed annual all-school field days at the University’s Baker Field, where the fifth-grade Greek Olympics are held. Students have used the facilities at Dodge Fitness Center and the Teachers College pool, and the eighth-grade graduation ceremony is hosted in the rotunda of the campus’ iconic Low Memorial Library. Our relationship with Columbia’s Teachers College is two-fold: We work with student teachers and host student observers, and our own teachers do coursework and pursue advanced degrees at the college. It is largely through the connection with Teachers College that The School has pursued the research components of its mission. I encourage you to browse our website and learn more about The School at Columbia University. Please feel free to contact us, at any time, with questions or for more information. Prior to joining Columbia, Mr. Reed was the Middle School Principal at the University of Chicago Laboratory Schools. He also served as Middle School Assistant Director at the Lakeside School in Seattle for five years, and held directorial positions at Sewickley Academy in Pennsylvania, including as Assistant Director of Summerbridge Pittsburgh, an academic enrichment program for middle school students facing limited opportunities. He has played central roles in progressive curriculum development and on accreditation teams with ISACS, NAIS, and several other national education associations. 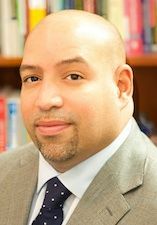 He holds a master’s degree in educational leadership from Columbia University Teachers College, and a B.S. in secondary education from the University of Portland in Oregon.